2.1 Why Do I Need to Replace My Speakers? 2.2 Do I Need to Rewire My Car’s Audio System? 2.3 Can We Measure the Sound Quality? 2.4 What Size of Speakers Do I Need? 2.5 What Are the Different Types of Speakers? You can choose from a wide range of the best 6×8 speakers that are being sold today to replace your vehicle’s factory speakers. It might sound like an easy task and it’s easy to assume that you can just waltz in to an audio store and buy any speaker that you lay your hands on. The truth is, it’s more complicated than that and just like most electronics that you need to setup in an enclosed environment, you need to consider the specifications. For car speakers, there are a few things to consider to make sure that it can work well with your system. Failing to check the specifications that fit your needs may cause you to waste your hard-earned money. 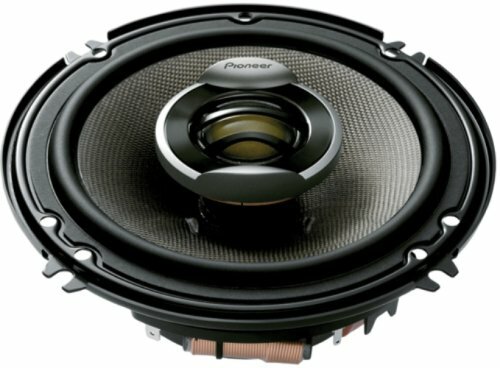 If it’s your first time to replace your factory speakers, you can check the information on this article to help you out. Rockford is known for making one of the best 6×8 speakers for over three decades and they are still known to deliver the best quality products today. The Punch P1683 is built with high-end construction materials including butyl rubber surround, an injection molded cone as well as a mineral filled and polypropylene molded cone. These materials work together to make sure that your speakers will last you a long time. These speakers also feature Flexifit baskets which utilize slots in place of holes used for screws. this allows you to adjust your speakers after being mounted for better flexibility. For an ever better quality of sound, a smoother transition of sound is expected with PEI dome tweeters that come with these speakers. All of these features combine all kinds of sounds to bring you clear and high-quality sounds. If you choose to install these speakers on your own, count on the ICC or Integrated Concealed Crossovers to hide your wires inside the basket. For loudness and power, Rockford offers their Vertical Attach Surround Technique with its speakers. This enables the cone’s area to increase its size to an extra 25%. With a high sensitivity rating of 90 dB, these are the amazing and high-performing speakers that you are looking for. They are easy to install and are engineered to give you the best quality of music that you deserve. When it comes to the best 6×8 speakers, you can count on a great brand like Pioneer to turn your expectation into a reality. The TS-A6886R is included in Pioneer’s TS-A line which features a new and rigid Multilayer Mica Matrix Cone. The cone allows wider sound diffusion and deeper bass sounds. It is also built with tweeters that are made to give you a better range of mid and high tones, creating better sound at greater volumes so you can play all types of music. Different materials were selected to create a diaphragm that is lightweight and rigid, thus creating a clear sound and unmatched responsiveness of sensitivity. This lightweight diaphragm is a great combination to the Mica Matrix Cone to deliver great volume and clarity of sound. 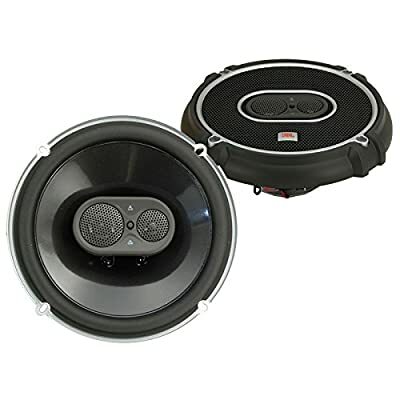 The TS-A6886R is a full range 4-way speaker that fits most vehicles and can handle 350 watts of maximum power. For surround materials, these speakers use elastic polymer for better sensitivity. It is also made with heat-resistant voice coil wires that dissipate heat and are able to withstand high power. It features a new spider design that integrates high quality materials which provides a more rigid suspension. The cooling basket has air vents that increase cooling and enhance power handling. As promised, Kenwood delivers the best 6×8 speakers that quickly became the best-selling speakers available today. You can count on these speakers to become the best replacement for your factory speakers and the 2-way features allow you to experience a bigger range of sounds. You have the option to use these speakers with a new radio power or, you can stick to the old one if you are on a tight budget. You can count on these speakers’ 30 watts of RMS power (60w for a pack of 4) to entertain you until you reach your destination. An amplifier is suggested if you want a bigger and louder sound to enjoy your music more. For durability, the polypropylene with cloth surround materials are used for its construction. The additional PEI cone tweeter and ceramic super tweeter are also able to better handle all frequencies. As a result of high quality materials that were used to create these speakers, the sound transition is seamless. You can expect the best quality of sound when you choose these speakers to replace your old one. As an added bonus, these speakers come with a 1-year warranty and a very affordable price. Kickers have long been popular to create high-quality car audio speakers and the best 6×8 speakers are now available for you to enjoy. It has a maximum power of 140 watts per pair (280 watts of power for 2 pairs) and can be installed very easily to replace your factory speakers. If you like hip-hop music, your bass sound will sound better than ever with the extended voice coil technology that these speakers are made with. It has a ribbed surround for optimum sound and accurate linear digression as well as dome tweeters that are balanced for more definition. You will never find affordable speakers that are as well-constructed and as affordable as the KICKER DS68. Most car enthusiasts prefer Kickers because they last longer compared to other brands. They are also made to easily fit in the space left by OEM speakers. If you are still having doubts with these speakers, you can count on the 2-year warranty that comes with it to make up your mind. Kicker is very confident about the quality of their products that they don’t mind giving you a lead of two years to experience their speakers. If you find any damage at this early stage, you can just bring it back to the store for repair or replacement. You deserve a great sound to go with your brand-new car and Infinity has become successful in building the best 6×8 speakers for you to enjoy. The Infinity KAPPA 682.11cf is a 6×8-inch 2-way speaker that features injected carbon glass matrix frames and fiber glass Plus One woofer cones. Each one of the speaker’s 20 mm UniPivot tweeter is built with a soft dome fabric diaphragm that improves power handling and allows high frequency diffusion. 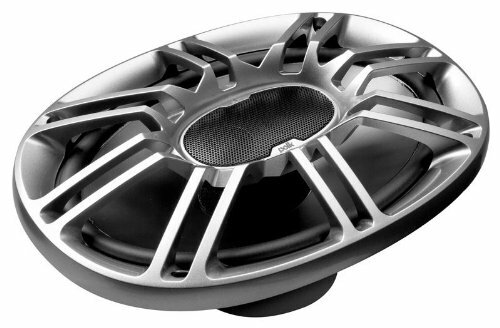 These are premium speakers that are engineered to replace factory speakers installed in most vehicles today. If you are looking for advanced technology, these speakers won’t disappoint. It can handle up to 300 watts of power from factory or aftermarket amplifiers, making it a perfect addition to your car’s audio system. Remember, having good power handling specifications enhances its reliability and makes it long-lasting. The Kappa Series was produced to withstand all types of environmental changes that your car can encounter while you are travelling. The KAPPA 682.11cf was made to be high-performing to produce the best quality of sound. With the perfect balance of Injected Carbon Glass Matrix (iCGM) materials used to create these speakers, you can finally enjoy your favorite music as you drive for hours. Why Do I Need to Replace My Speakers? If you want to improve the sound quality of your car’s audio system, you might want to consider replacing your OEM speakers. Once you replace your car’s factory speakers, you will notice a great improvement in the quality of your music. The best way to improve sound quality without spending too much on the whole system is to invest on the best 6×8 speakers. Do I Need to Rewire My Car’s Audio System? Replacing the wiring is not really your first priority unless the manufacturers specifically require you to do so. The wirings that came with the car can work with your new speakers and the amplifiers that you are going to use. Rewiring can depend on your speaker’s RMS which is used to measure its power handling. If you are in doubt, you can ask a technician or the store’s associate if you need rewiring for your car’s audio system. Can We Measure the Sound Quality? It’s important to know how to measure the sound quality of the speakers that you are going to buy. There are two ways on how you can measure a speaker’s sound quality. One way is to know the frequency range of your speakers. Remember that the rule here is that you need a wider frequency range for better sounds quality. Next, you need to check the speaker’s sensitivity rating. A high-powered system needs a lower sensitivity rating and vice-versa. 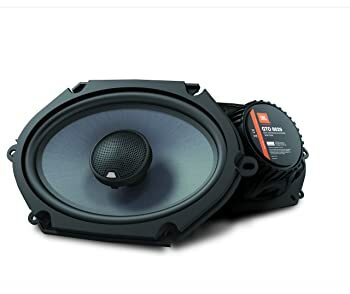 It really depends on what model, brand or type of car you are going to install them in but you have to be sure that your new speakers fit in the system. There are different sizes of speakers and the measurements basically describe its cone size. However, when buying the perfect car speakers, you also have to consider the height and depth of the speakers. To avoid wasting money and time, make sure that you take the measurements before you shop. What Are the Different Types of Speakers? There are two major types of speakers and they both offer a wide range of sound quality improvement over factory speakers. 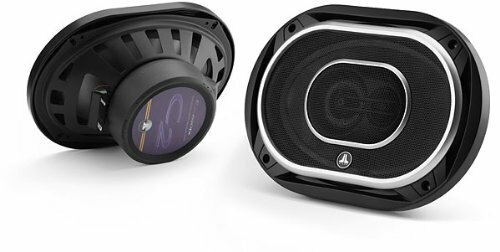 Here is more information about the two types of car audio speakers. 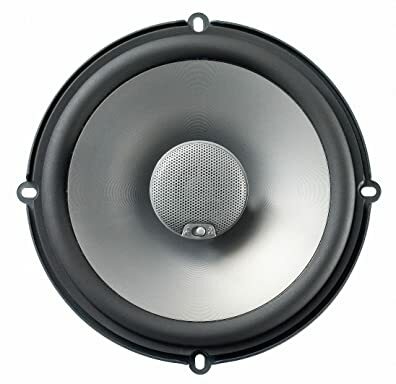 This type of speaker is called component because they are introduced in sets including tweeters and woofers. They also have the ability to be separated and it’s up to you where you want to place them inside your car. It includes different speaker sizes and is known to give you a greater overall sound. Higher level tones come out better through small speakers and low bass tones are best heard over bigger speakers. A component system is known to give you a surround sound experience and is a good choice for those who want a higher quality sound experience while they drive. This type of speakers work as a whole system and can be installed very easily. It’s popular because they come in an affordable price and are able to play a wide range of sounds. They are good for those who want an upgrade from factory speakers without stretching their budget. For those who want to have a great sound quality, there are high-end full range speakers available today. Just like any other products, the materials used to build them directly affect their quality and performance. For car speakers, the materials also extend the lifespan of your car’s audio system. These are small speakers usually made with delicate materials like silk, polyurethane or textile which allow it to produce great sound. There are also tweeters made of hard materials like ceramics, metal and graphite that are better at handling higher sounds. This is the casing that is found around the woofer. It has to be durable enough to stand against humidity and heat. The best material for your surround material is rubber but foam and cloth are also good and go for a cheaper price. In order to get your bass sounds, the woofer must be made with lightweight and stiff materials. The popular material for woofers is polypropylene because it creates a precise bass sound. You can also choose woven fabrics as an alternative material. It’s good to check if the manufacturer listed down the materials that they used to make the speaker system. Speakers come with exciting features that you need to know before buying them. These features add to the quality of the sound that your speaker can produce. Here are some examples for your information. This is a great feature for your speakers because it lets you decide where you want to aim the speakers and direct the sound. You will usually find these kinds of tweeters at the bottom of your car door with its speakers aimed at the driver or the car’s backseat. As mentioned above, there are high-end full range speakers that you can purchase for better sound quality. These full range speakers usually have external crossovers that allow them to separate frequencies between the woofer and tweeter. Thanks to these crossovers, the woofer and the tweeter stop producing sounds that they aren’t supposed to. The result is a more efficient and better sound quality. This is the capability of the speaker to hold a certain amount of power without sustaining damages to the speakers. There are two power ratings available to car speakers in general: RMS or continuous power and peak power. RMS is the non-stop output while the peak power rating refers to instantaneous power that your speakers can hold. This feature indicates your speaker’s loudness and is usually determined in a room that is echo-free. The speaker’s sensitivity rating can be measured by decibels and most manufacturers indicate the type of room where they tested the speakers to help the customers with their choice. In general, a speaker with a higher sensitivity rating can produce louder sounds. The average sensitivity rating of a speaker can range from 87 to 88 decibels. Therefore, if a speaker has over 90 decibels of sensitivity rating, it’s above average when it comes to loudness. Driving around for hours could prove to be entertaining with the best 6×8 speakers to keep you company. No more listening to boring, plain sounds with your factory speakers when you upgrade to ones that give you a better quality of music. You can listen to your favorite song with clearer and more defined tones to give it justice. With new and high-performing speakers to accompany you, your long trips may seem like it’s just a few minutes away. Technology has advanced and there are many features that you might want to have for your car’s audio system. It’s good to check the specifications of the speakers before you purchase them. The Kenwood KFC-C6865S promises to give you the power, loudness and quality of sounds that you and your companions deserve. It is the best 6×8 speakers made with high-quality material that you can count on to produce all the sound frequencies that great music needs.